Mark your calendars for the 2018 National Maritime Day and Amver awards in Washington, DC. In addition to the National Maritime Day activities and Amver awards, we'll celebrate Amver's 60th anniversary. This year 757 U.S. managed ships earned Amver awards, including three ships that will receive awards for 35 years of participation. This is a truly special event and one you won't want to miss. We certainly hope you'll watch for your invitation in the mail and join us for this extraordinary event. See you on Tuesday, May 22, 2018 at the National Press Club in Washington, DC. Activities start at 3:00 pm with a Safety at Sea seminar hosted by the North American Marine Environment Protection Association followed by a reception and awards. 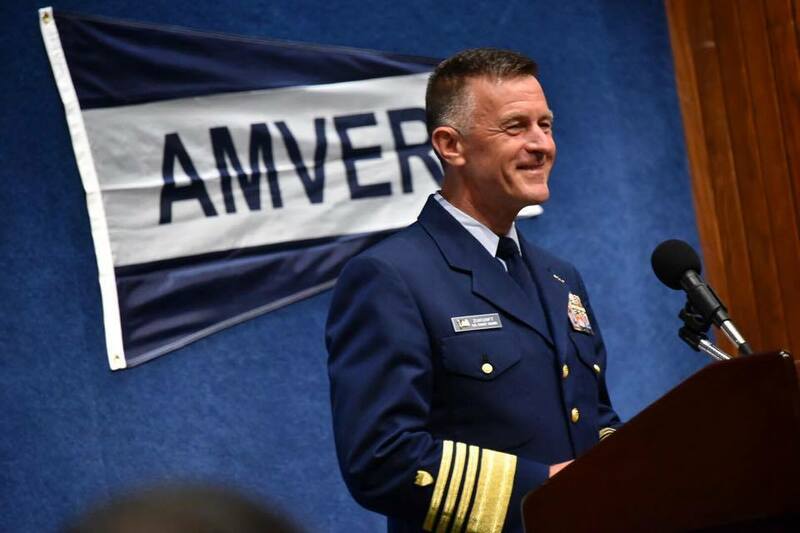 U.S. Coast Guard Commandant, Admiral Paul Zukunft is the invited speaker.